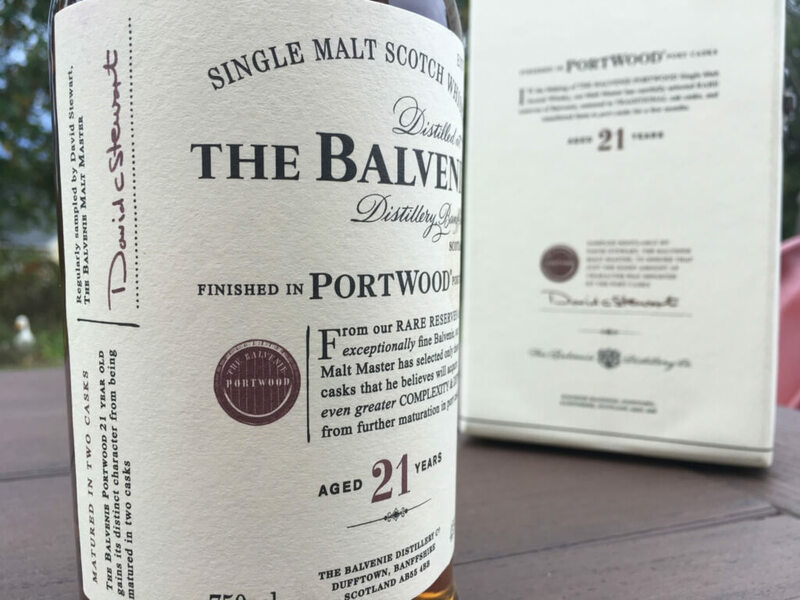 I have been a big fan of Balvenie’s Portwood for a long time. It’s another one of those drams that really showcases the versatility of Balvenie’s honeyed house style in a variety of finishes. After maturing in ex-bourbon casks for 21 years, the whisky is transferred to port pipes for a finishing period before bottling. The US version is bottled at 43% compared to a 40% global release though I have recently acquired the non-chill filtered version from a duty free shop. You know, for science. In any case, let’s find out why I love this stuff so much. Nose Deep and rich, red grapes, honey, layers of oak, slight nuttiness, leafy, hint of clove, mango? in the background, orange peel. Finish Stewed fruits, fresh mint, nutmeg, milk chocolate, almond. Wines notes and typical Balvenie honey remain for quite some time. Overall Thoughts It's a grown up Balvenie without the wood-dominance that comes from the super aged expressions. This allows the sweetness and fruit to really shine through. A fantastic expression that shows some age while maintaining a certain level of softness and refinement.